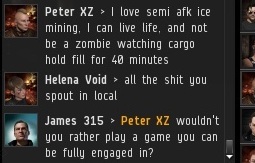 Highsec ice miner Peter XZ confessed that he petitioned one of our Agents, and he refused to apologize. He ended up on the Red Pen list. Peter compounded his offense by admitting that he had filed a petition against me, as well. Talk about doubling down on a bad strategy. Peter was well aware of the possibility that his petition could fail, and that he was opening himself up to bumps. 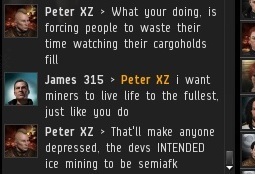 After removing Peter from the ice field, I spent some time helping other miners. Peter eventually inched his way back to the ice. I asked him to declare his intentions, and he started owning up to all of his deviant practices and beliefs. I couldn't believe what I was hearing: A human who enjoyed being roboticized. As a champion of humanity, it broke my heart. Having finally made his way next to a chunk of ice, Peter announced his plan to activate his mining lasers and go AFK for 40 minutes. After which, he believed, his ore bay would be filled with ice. Before Peter could even leave the keyboard, I sent his mackinaw zooming away. Peter had to put his IRL plans on hold. I patiently waited for him to get back into range; I spent the time instructing other miners. 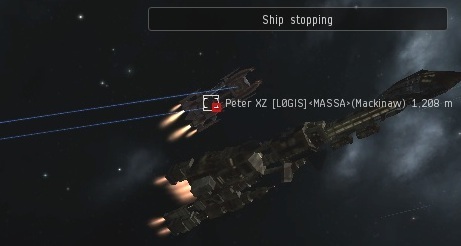 When Peter turned his mining lasers back on, I immediately sent him out of range again. This time his AFK session apparently couldn't wait, so he left. Peter's mackinaw was programmed to approach the ice. But mining lasers must be manually reactivated once a mining cycle is broken, so the mackinaw just sat there while Peter was AFK. 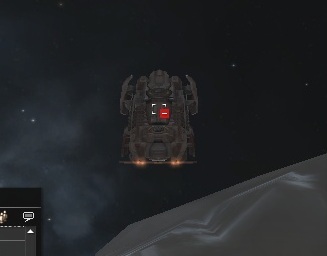 Instead of filling his ship with millions of isk worth of ice, he got nothing. I looked upon this pathetic sight and was filled with compassion. 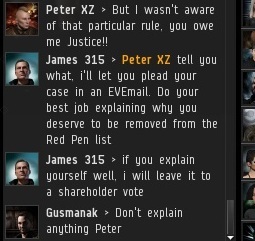 Who can understand Red Pen miners like Peter? Somewhere along the line, things went horribly awry for them. I believe these miners can be rehabilitated. Who else is going to do it? 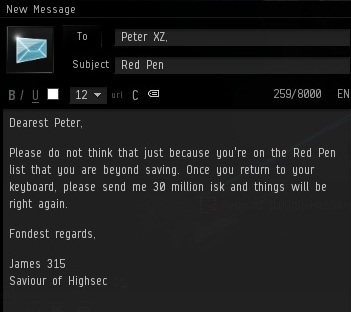 I am the Saviour of Highsec. And so I go on, bumping miner after miner, striving to put right whatever went wrong in their lives. This time, having lost out on his haul of ice, Peter wanted to revisit why he was on the Red Pen list. Ignorance of the Code is certainly no excuse. Now that MinerBumping is widely known in highsec, every miner is on notice. 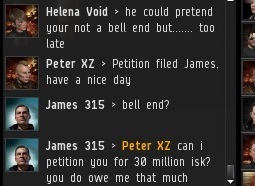 Peter is not entitled to anything but a 30 million isk fine. But I occasionally perform acts of special mercy to miners. This is such an occasion. I invited Peter to write an appeal to the shareholders of the New Order. He did. And when that letter is posted on this blog, it will be up to the shareholders what happens next. I don't get it, why does miners don't understand that getting into the new order is like, being a VIP, with privileges and advantages such as no more ganking risk and no fear of being bumped. Are miners that tight-fisted that they can't even think about it? They HAVE to see it as an Exploit or harrassment? 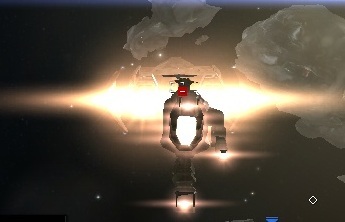 Sometimes I like to draw the comparison to a 10 million isk mining upgrade that protects against disruptions. Sadly, many miners have an entitlement problem that overwhelms their common sense. if we want to act like robots then we can. its not up to little niggers like you all to deside that for us. so why dont you guys just lie down and die. It makes me sad to see so much hatred, anger, and racism coming from the miners. What can we do James to help with this apparent and growing epidemic of miner roid rage? I just want to help the poor lowly miners. I mean they are already the lowest class of EVE citizen, surely there is something we can do to help bring a ray of sunshine to their mostly dark and rainy days? Maybe once you are elected as CSM you can do something to help!! A bump a day keeps the anger away! !